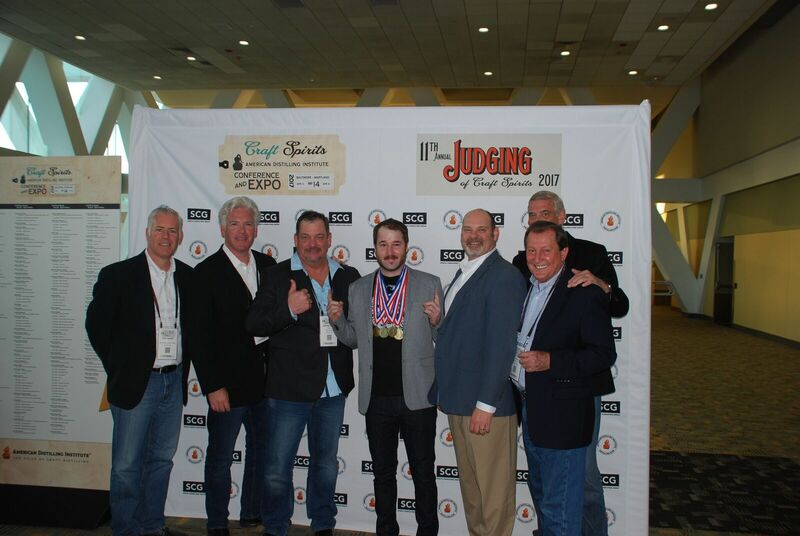 This week the American Distilling Institute (ADI) awarded MurLarkey Distilled Spirits five medals as part of its 11th Annual Judging of Craft Spirits 2017 - the most medals of any Virginia Distillery this year - MurLarkey Divine Clarity® Vodka won gold in the grain-to-glass vodka category, and the growing Northern Virginia distillery took home bronze medals for four of its certified craft distilled spirits: Brutality™ Limited Reserve Whiskey, Cincerity® Whiskey, Justice™ White Whiskey and Imagination™ Gin. 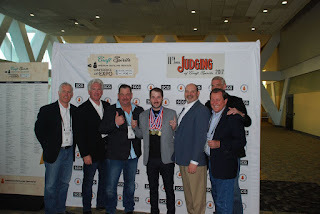 The largest and most-respected judging devoted to craft spirits, ADI accepts entries in all classes and categories of craft spirits from small, independently owned distillers, blenders, bitters makers, and producers of aperitif & fortified wines. Each year, both domestic and international entries are tasted blind and evaluated by expert panels of judges made up of distillers, journalists, bar owners, bartenders, retailer, wholesalers, distributors and importers. The first cask of the Brutality™ Limited Reserve was released in September 2016 as MurLarkey’s barrel-aged, dark whiskey. The uniqueness of Brutality comes from the barrels themselves; instead of using traditional charred oak barrels, the team uses oak merlot wine barrels and varying grades of charred oak which guarantees that each rendition is perfect. The distilling process and notable barrel differences allow for the whiskey to offer a taste and profile of a whiskey years older. Cincerity® Whiskey lends itself to being a cinnamon whiskey that rounds out and finishes with locally milled sweetcorn and fresh Virginia barley. The handcrafted whiskey, which is made from a proprietary blend of locally sourced Virginia corn and barley, is all natural and made with no artificial coloring, flavors or preservatives. A bright and clean taste of fresh cut hay and farm-milled sweet corn with full-bodied elixir touting herbal esters gives off a long soft finish of the Justice™ White Whiskey. The whiskey is unaged and made with no additives to allow the taste to have clean floral characteristics. The last bronze medal winner went to MurLarkey’s Imagination™ which is an all-natural and gluten-free gin made from a proprietary blend of 12 distinct fresh cut, all-natural botanicals. The spirit is perfect on the rocks or with a splash of tonic. 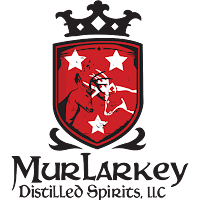 MurLarkey Distilled Spirits uses only the best locally sourced and quality products to create all its spirits and keeping with the ‘Farm-to-Flask™’ value. MurLarkey’s spirits are available at over 100 retail stores and foodservice concepts throughout Virginia and the District of Columbia. The tasting room is open Monday through Wednesday by appointment only, Thursday from 10am to 5pm, Friday from 10am to 6pm, and Saturday from 1 PM to 6 PM. Starting with a meager 23-gallon copper still, second generation Irish-American cousins Tom Murray and Mike Larkin, along with a small team of family and friends, began distilling high-quality, small-batch spirits. Using only the finest, all-natural ingredients, MurLarkey spirits are produced to uncompromising standards. Distilled to perfection, packaged with pride and delivered with cheer, MurLarkey embodies the Founders’ heritage, culture and love for life. 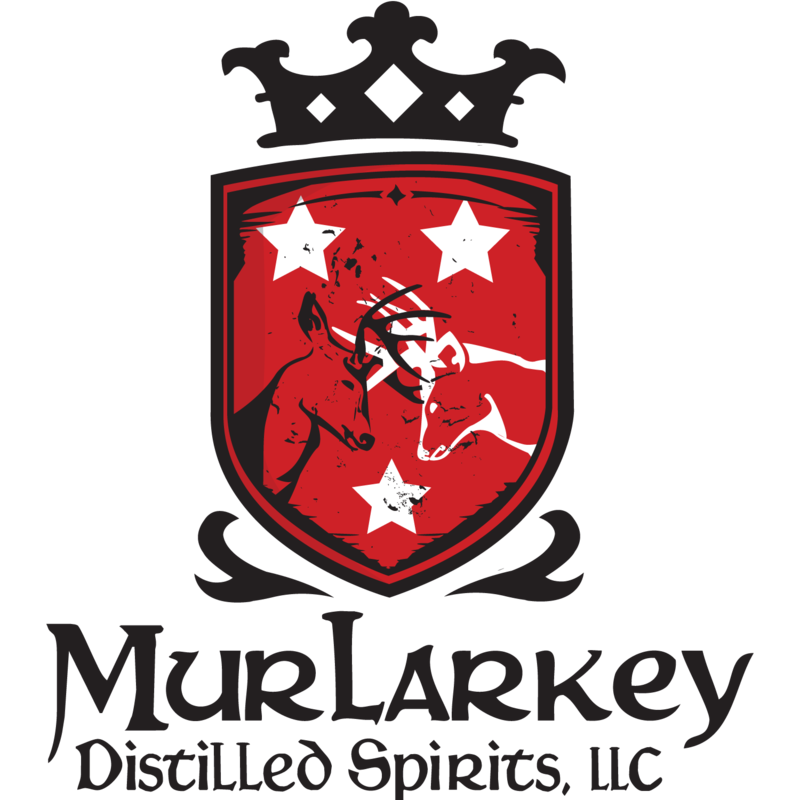 MurLarkey is an American Distilling Institute (ADI) Certified Craft Distilled Spirit producer. For more information, visit www.murlarkey.com.